When organizations engage a board portal provider, they are entrusting them to safeguard sensitive documents and provide a system for managing access to those documents. This trust goes beyond technical specifications. 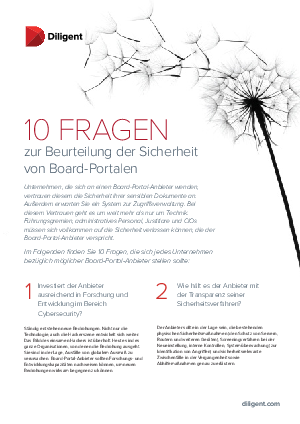 That’s why it’s essential for boards, corporate secretaries, general counsels and CIOs to be comfortable with and confident in their board portal provider’s security. Is the provider transparent about its security processes? Does the provider meet the highest industry standards? What degree of data redundancy is provided?